The last day for disaster relief from the Salvation Army in Mc Minn County, Tennessee is this Friday. 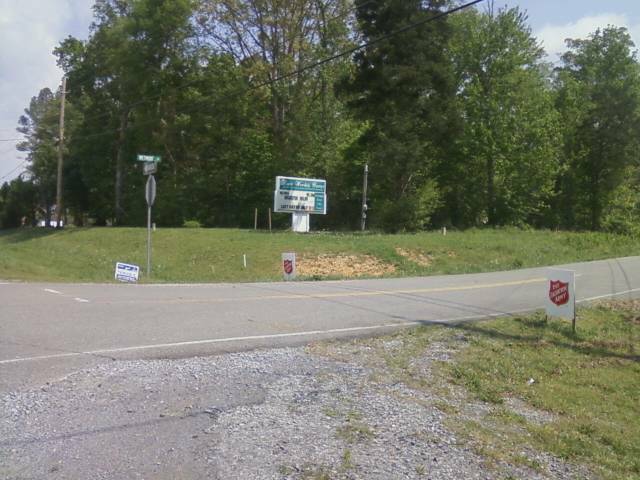 That's the word on the River of Life church sign in Etowah, Tn. The church is on Hwy. 411 as you enter into Etowah from Bradley County. The Salvation Army and other agencies have been hard at work to help provide for the needs of recent tornado victims. The FEMA-State disaster response center is still open. The center is also on Hwy 411. If you are coming from Bradley County, the center is on the left in the heart of Etowah. Look for it next to the fire department. There is a large white sign with dark print in the window. It's been several weeks since the storms ravaged the area. In general, people are moving forward with their lives. Property damage pales when compared to the emotional recovery from a sudden natural disaster. This will be a long hard road and the victims of the storms, although very resilient, deserve to have all the support that they need to recovery. Dare we presume that the withdrawal of the Salvation Army from Etowah is a sign that the need for recovery assistance is drawing to a close in McMinn County, Tennessee? My best wishes and prayers continue to flow for all who have been effected. May your needs be met quickly so the healing can begin.